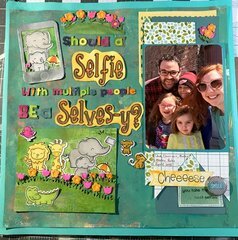 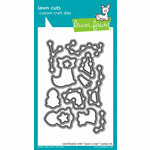 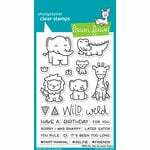 The Lawn Fawn Elphie Selfie Lawn Cuts Dies will bring wild fun to any project. 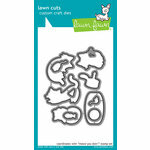 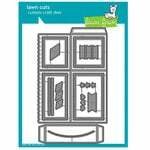 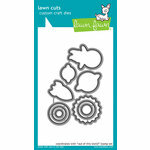 Made of high-quality steel, they can easily cut through most paper to help you make beautiful crafts. 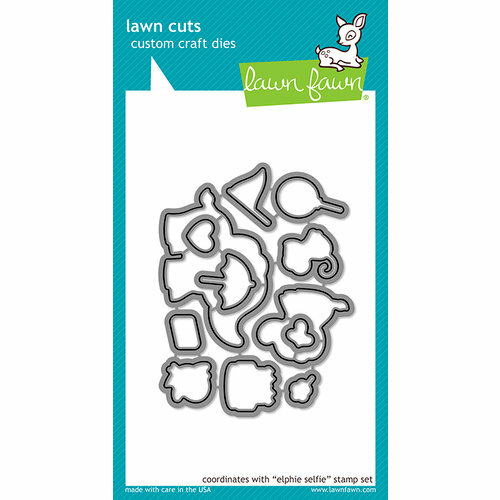 These dies are compatible with the Elphie Selfie Clear Acrylic Stamp Set, so you can expand your decorating options. 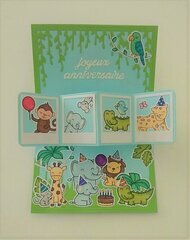 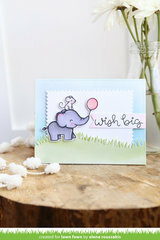 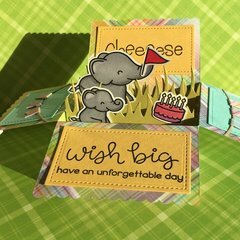 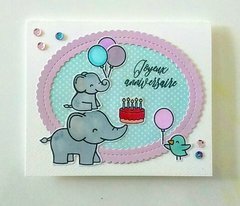 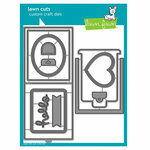 Dies range in size from approximately: 0.4" x 0.5" - 2.5" x 1.75"
Great dies to match the cutest lil' ol' elephant stamps. 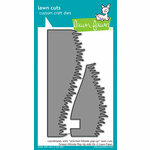 Perfect cut every time!